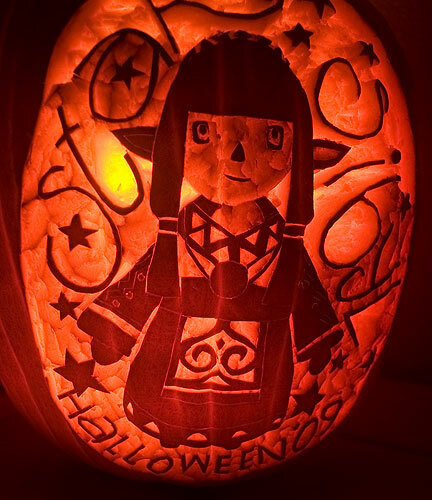 This year, Allakhazam is hosting it’s third annual Final Fantasy XI Pumpkin Carving Contest. It started out in 2007 when on a whim, I made this all-game contest at the very last minute. 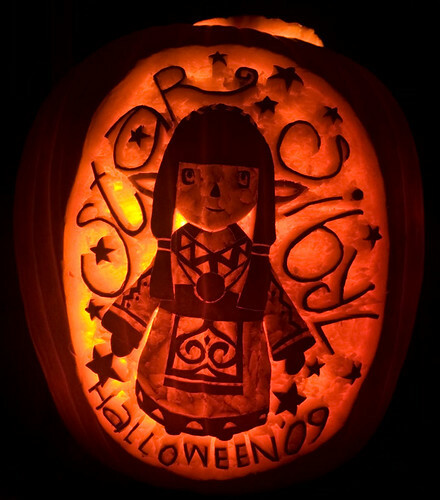 The majority of the entries that year were FFXI-themed, so the following year we tried to make it bigger and focused it exclusively on FFXI. Square Enix shocked the pants off me by offering up a Wings of the Goddess gaming PC. This year, they offered a Shadow Lord statue and something that almost made my head explode: two exclusive in-game furniture pieces. 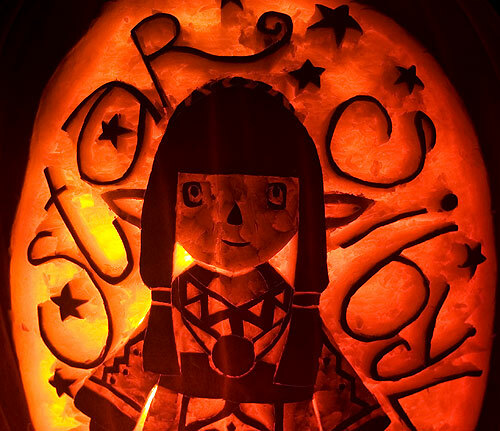 It took me a really long time to decide on what to carve, but when I finally did I was pretty happy with the choice. I’ve always been very proud to be a citizen of Windurst and what better way to express that than with the Star Sibyl herself? The first thing I did, of course, was to go out and by a freakishly large pumpkin. 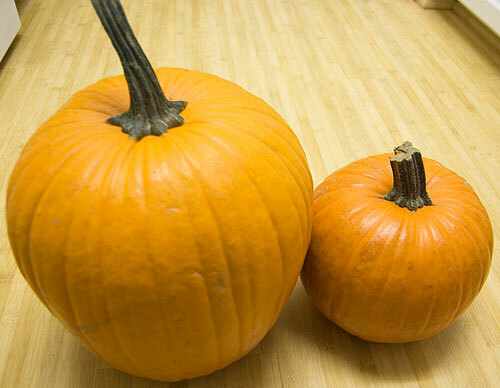 On the left is my pumpkin and on the right is Baby Girl’s, which her teacher for some reason described as “HUGE!!!”. Clearly she hasn’t visited Foodland to see the giant pumpkins they have in stock to bait me into a purchase. When I cut it open, I was prepared for the worst, but for some reason I picked well and the walls weren’t all that thick. I started scraping at about 10:00 am and finished about half an hour later. 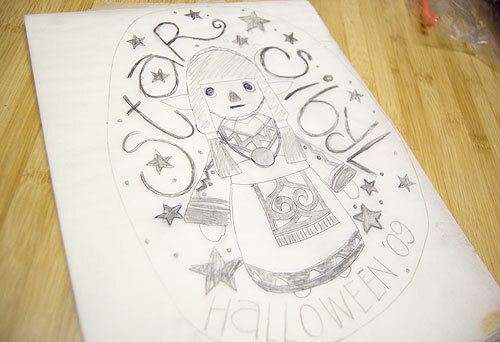 I printed out a big picture of the Star Sibyl and then placed that under a sheet of tracing paper. After that, I drew in the letters and stars, the colored in all the parts that would remain skin. I have a couple of sets of pumpkin tools from previous years, but since I was planning on etching this year, I used a dull-ish paring knife. 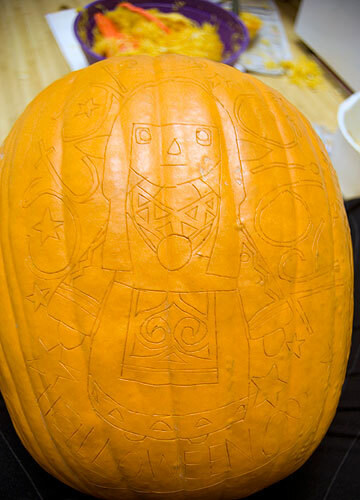 I taped the pattern on top the pumpkin and pierced through the paper into the flesh. 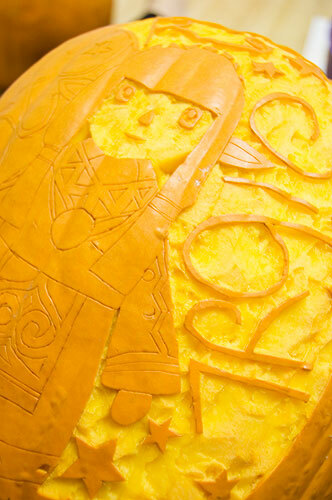 Since the design was extremely delicate, I was very paranoid that with one shake of my hand, I’d slice off a vital piece of pumpkin. I planned different depths of shaved off pumpkin to create different shades of dark parts, so I started off by cleaning out just a thin layer from the whole thing. I began to dig out the pumpkin after I finished the entire outside area and then took it to the bathroom to test a photo. The key was to not hand-hold the camera or prop it on top of something instead of holding it in the air. In this photo, I still haven’t carved out her dress. Before I knew it, it was 2:30 and it was time to go to Grandpa J’s house to watch UFC 104. Before I get to the pumpkin let me just say how WRONG THAT FREAKING DECISION WAS in the Machida/Rua fight. I seriously could not believe my ears. I carved through basically all the fights up until the main main event. 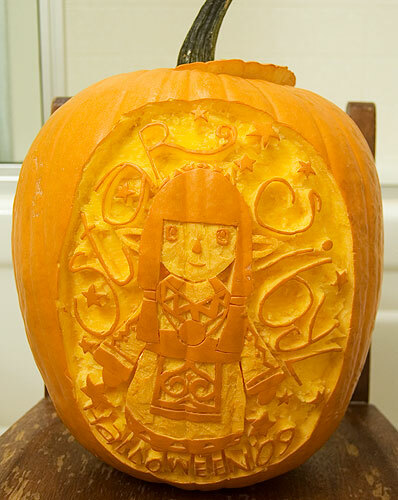 This is the pumpkin all completed. And once again, in the dark! A close-up of Sibyl. I was pretty surprised how well her face turned out. 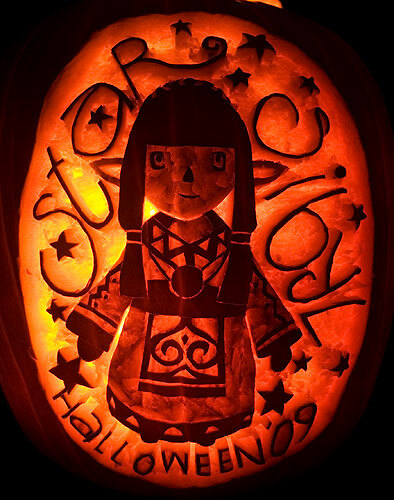 I thought that would be the most difficult and that I’d tear off a vital piece of her eye or something, but I carved it out early on and shockingly, did not knock off anything. I shrieked like a banshee whenever the kids came to touch it and “help”. I finished at about 6 PM, just in time to watch the Machida fight. I’m so attached to this thing that I hugged it all the way home. I gazed at it longingly whenever we passed a street light. I plan to take it with me to the shower, leave it on my nightstand when I sleep, and then take it to work. However, I will weep when she rots, which with Hawaii humidity will no doubt be tomorrow. Thank goodness for photos!